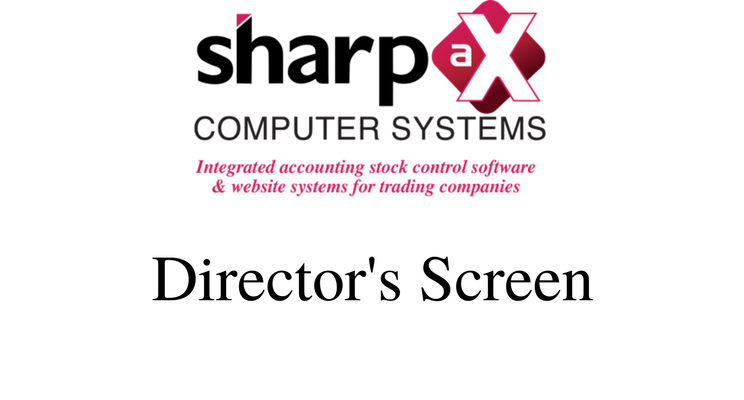 Sharp-aX launches the first of a series of videos, entitled The Director’s Screen. This Sharp-aX video, which runs for 1 minute and 4 seconds, describes the powerful dashboard capabilities of the Sharp-aX software. From a single screen, you will see sales today, sales so far this month, year to date and sales broken down by product for today, this month and year to date as well as your profit and loss accounts. Set up your own a bar chart to show rolling turnover and cost information as you wish to see it. The Sharp-aX video demonstrates how you can so easily take data from your system and display it in a way that is essential for you to keep track of details on a daily basis and to see ‘the bigger picture’.